As a Jets fan, I found myself very impartial to either team in the Super Bowl. New England haunted the Jets this year, and the Giants left me choking on the bitter taste I still have in my mouth. Giants fans were telling me I should be rooting for their team and not the hated Patriots, which makes sense. But the problem was that I don’t usually have to deal with Patriots fans on a daily basis, whereas Giants fans will now be popping out of the woodwork and proclaiming their love for Eli Manning everywhere I go. My Giants fan “friends” will stop at nothing to remind me which team MetLife Stadium really belongs to. Yes, the Giants are the better team in New York. Eli, Tom Coughlin, and the Giants did it again, defeating Bill Belichick, Tom Brady, and a Patriots offense that wasn’t itself on Sunday. And I realized that I was happy the G-men won. Manning is now 3-1 against Brady, and the one loss was 3-point defeat to the unbeaten Pats. At least someone has Brady’s number. There’s no better way to be judged than by your performance against Brady and Belichick. And hey, there’s always next year. Maybe Eli has provided some hope for Mark Sanchez, who struggled through his third year in the league on a New York team. 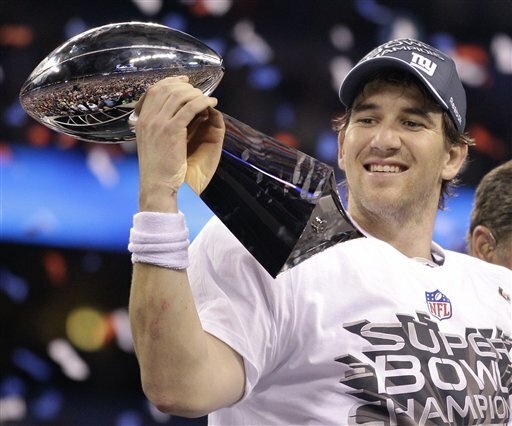 Eli won the Super Bowl in his fourth season. Who knows how good the Giants will be next year, the NFC East will continue to beat each other up. But for now, Big Blue is the best team in New York. Just don’t forget which team was for the past two years.